Well, we made it... we're half way through 2015! In some ways the year has just flown by and in other ways (winter) it has been long. I hope next winter is a little more mild and not has harsh. I would love to have a winter that I can actually enjoy. No more below freezing arctic winds and piles of snow and ice. Just a nice mild, sunny winter.... now that I can deal with. Summer is on the way and I am excited because the kids only have 3 more weeks of school. What I am most excited about is that I can take a nice long break from packing their lunchboxes. I don't know why I dislike it so much, but I do. I try to always provide them with a healthy sandwich or pasta in their lunch thermos, fruit, water, something crunchy like carrots or pretzels and a small "treat". The problem is they usually get bored with all of my tricks and options by the first month and then it's an endless game of trying to keep them excited for lunch. Yes, I can use a break from that and I would much rather cook them a "hot" lunch at home everyday so I don't have to hear any whining. The kids are simply excited about getting a nice long break from school and not having to get up so early. I get up the same time every day, no matter what time of the year it is... you have to do that when you have pets. Their schedule never changes. 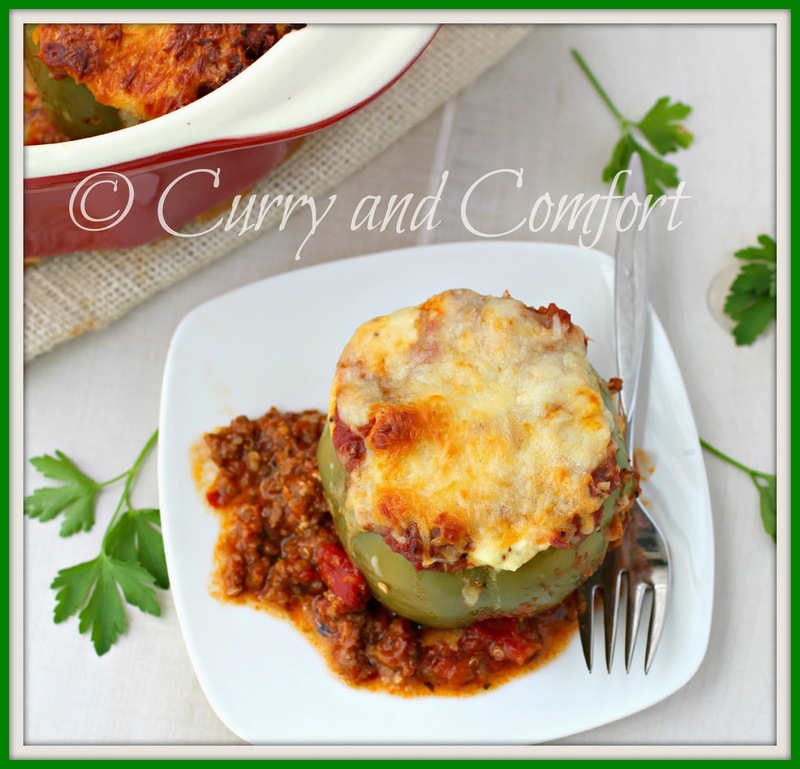 One of my favorite comfort foods has got to be lasagna. 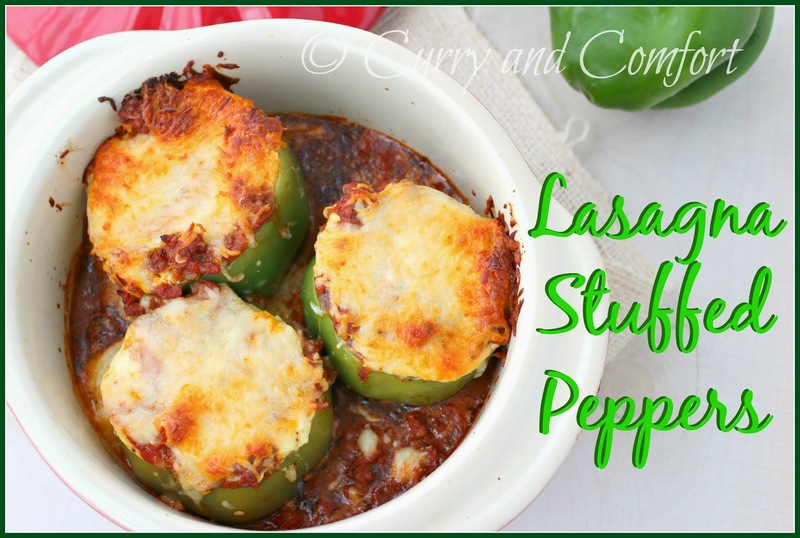 When I started eating low-carb, I missed eating this hearty meal that made my stomach smile from the inside. 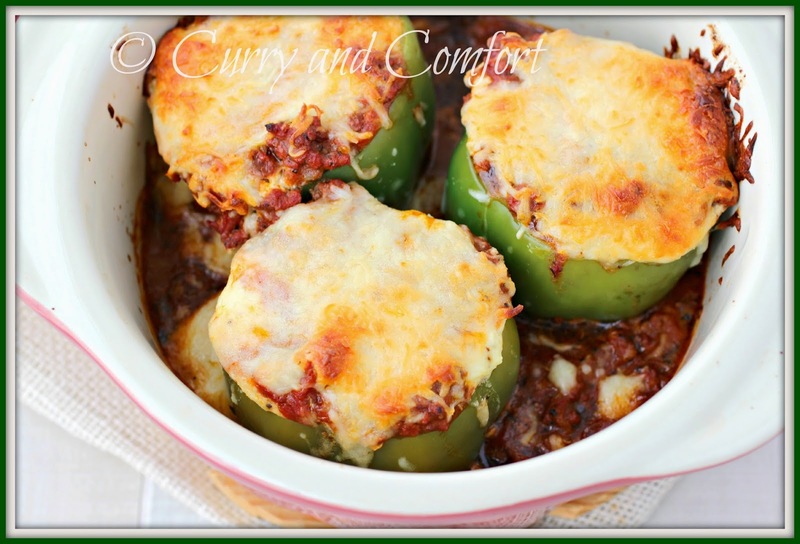 I decided to make stuffed peppers with all my favorite lasagna filling and these peppers were perfect. They totally hit all my favorites parts of the a lasagna like the meat sauce, ricotta and cheese. I didn't even miss the heavy carb loaded pasta. My stomach was full of delicious lasagna and smiling again. 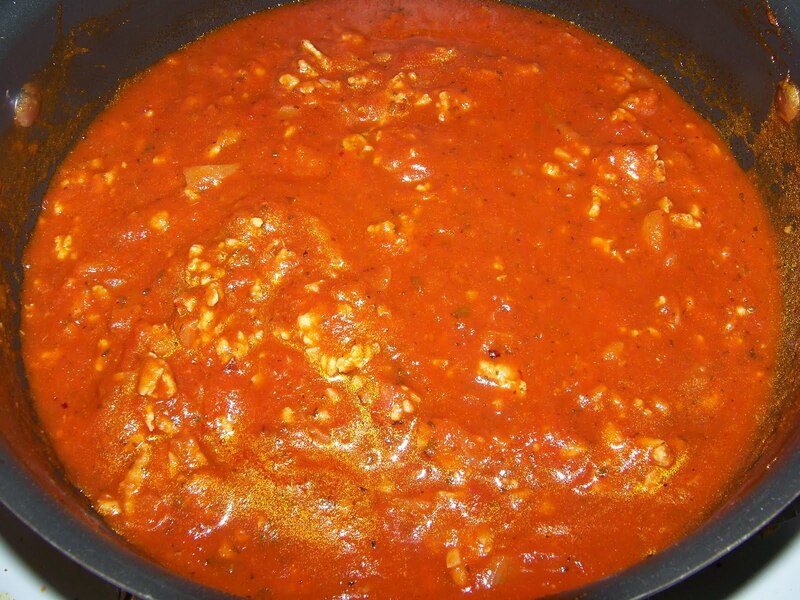 Make meat sauce by browning beef. 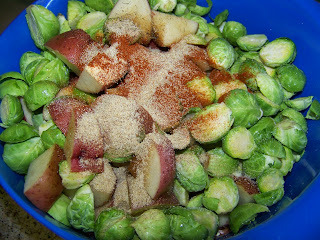 Then add onions and garlic and salt and cook for 1 minutes. 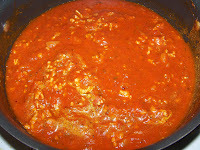 Add jar sauce and all remaining ingredients for sauce and simmer for 20 minutes. 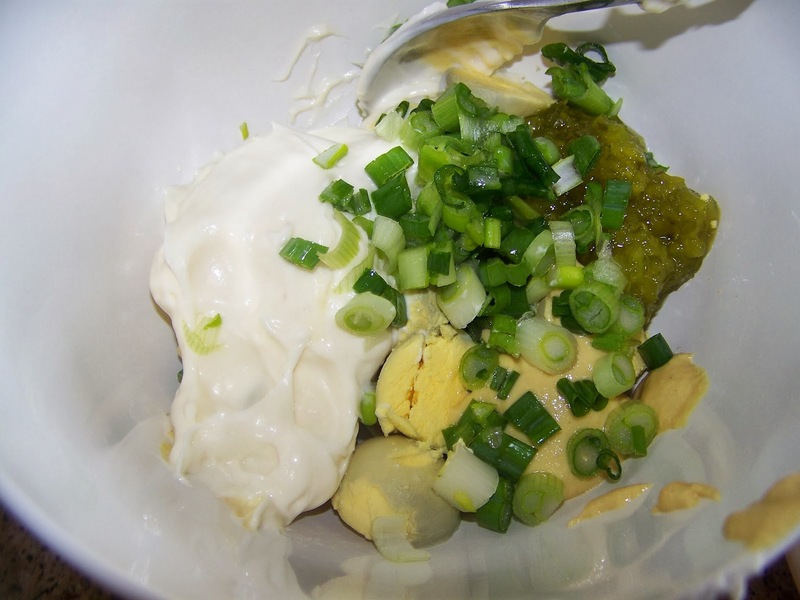 Taste for seasoning and finish sauce. 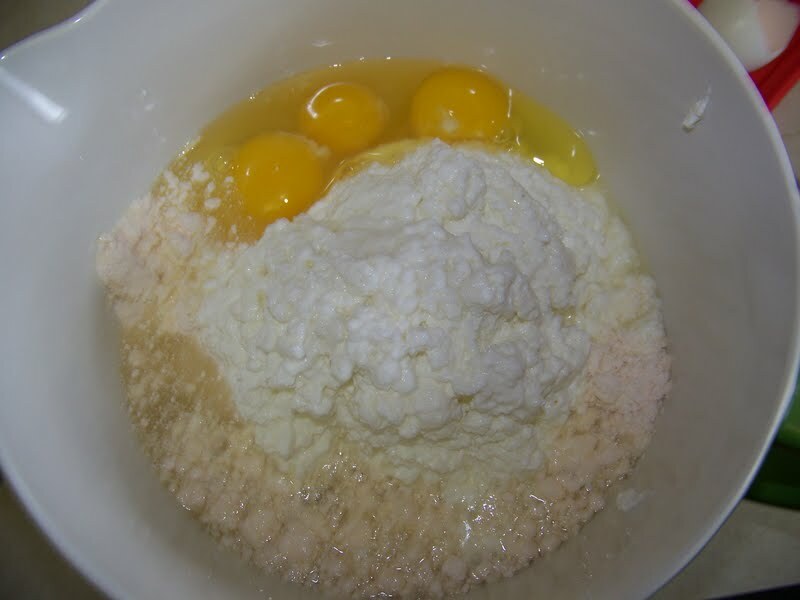 Next mix ricotta filling and set aside. Prepare peppers by cutting off tops and cleaning out the ribs and seeds. 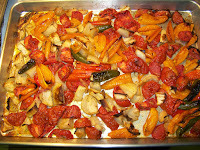 Place in a oven safe baking dish and place a thin layer of sauce. 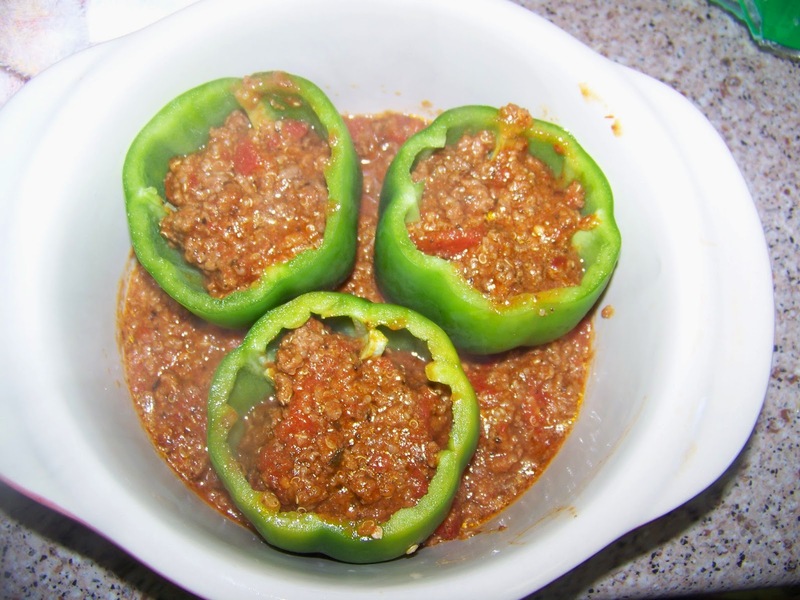 Then place the bell peppers. 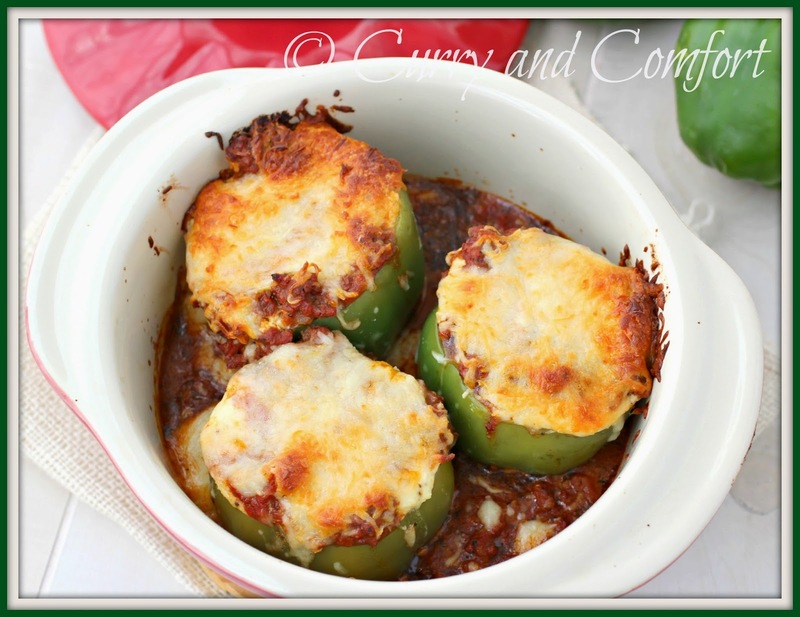 Fill peppers half way with sauce/meat filling. 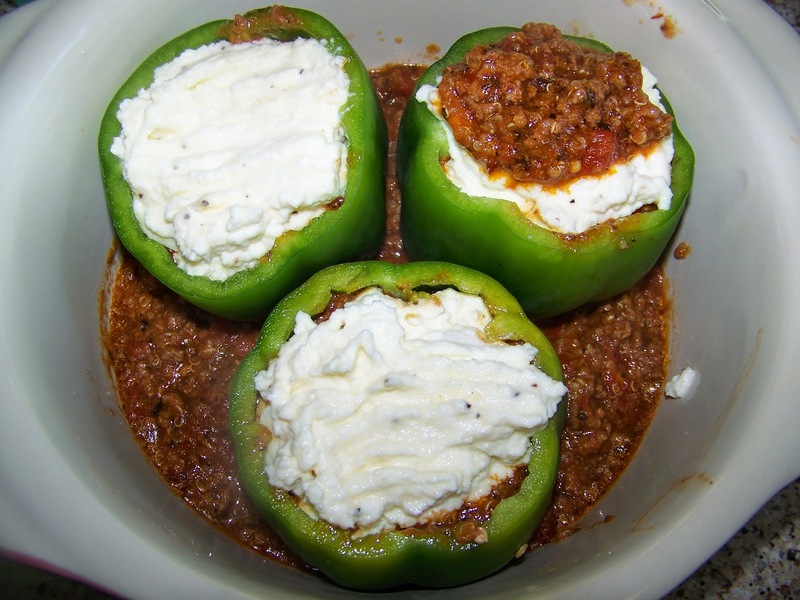 Then fill with some ricotta cheese filling and top with a little more sauce. Bake covered (with a lid or tin foil) in a 350 degree oven for 35 minutes. 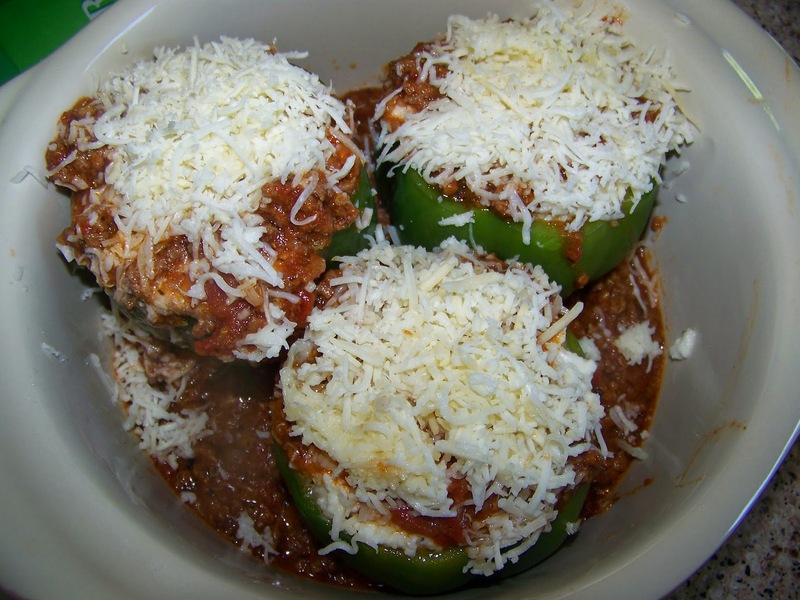 Then top with cheese and bake another 25 minutes uncovered. Serve hot. Enjoy. I try my best to buy a lot of fruits and vegetables for my family so we can eat healthy. One of my biggest pet peeves is to open the fridge and see that my produce has turned inedible. Sometimes I feel like I'm in a race to use up all my perishable foods as fast as possible so I don't waste my hard earned money. I wish I could say I always used 100% of my produce and nothing ended up in the trash. I think it's horrible to throw away good food. Unfortunately, I can't always beat the clock and cook or eat every ingredient in my produce drawer fast enough. The reason we are throwing away so much good food is because we are simply not taking the time to store it properly when we get home. I know I am guilty of keeping some of my produced in the plastic grocery store bags that I use when I purchase my fruits and vegetables. Those bags are actually part of the problem. 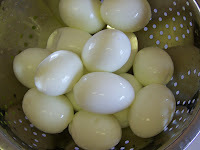 - Ethylene Gas: Fruits and vegetables give off ethylene gas. 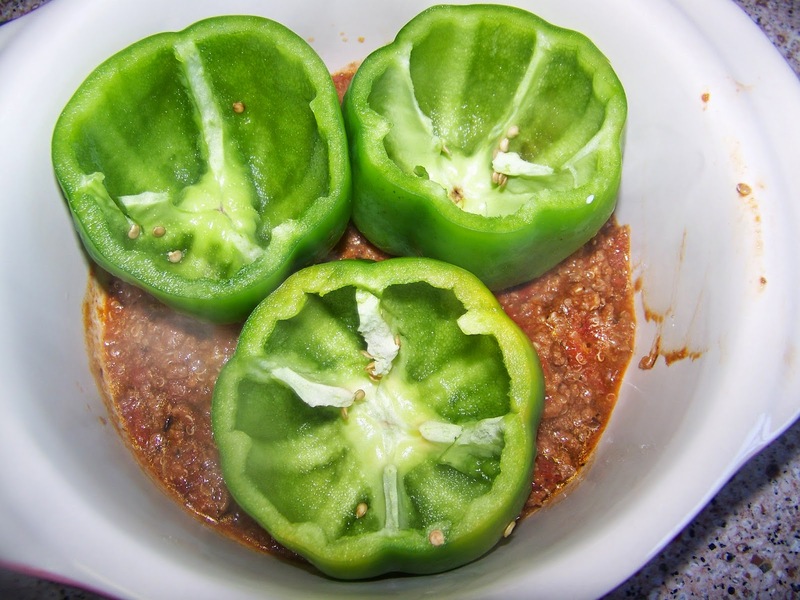 Exposing produce to ethylene gas speeds up the ripening process, causing it to over ripen and go bad. - Improper Airflow: When produce rests against the walls of containers, bags or crispers, moisture can build up and cause rotting. 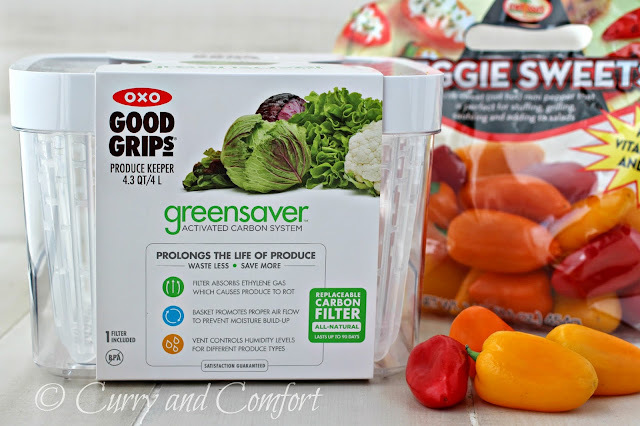 So, OXO came up with the Greensaver Produce Keeper. 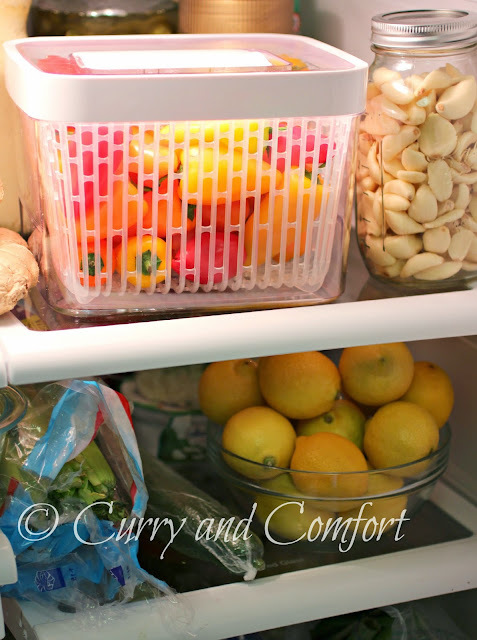 This great food storage unit neatly stores your produce and keeps it fresher longer. 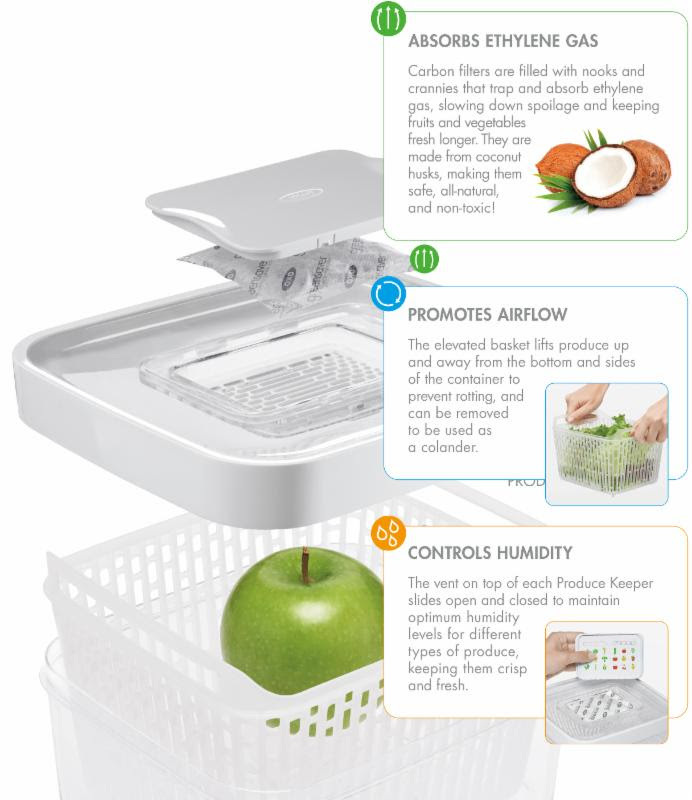 The GreenSaver can absorb ethylene gas, promote airflow and control humidity. 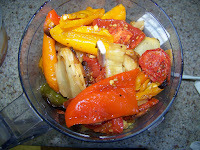 I tested out the GreenSaver with a bag of fresh sweet peppers sent to my from Melissa's Produce. The peppers fit perfectly in the produce keeper and looked so nice in my fridge. 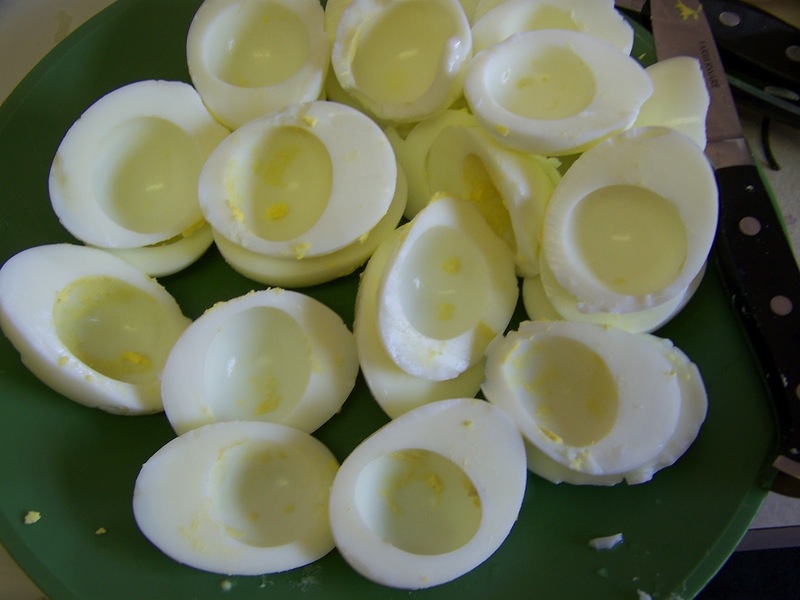 They were plump and perfect for two weeks and I was able to get a lot of use of them. The produce keeper was easy to use and I was able to use it right away. 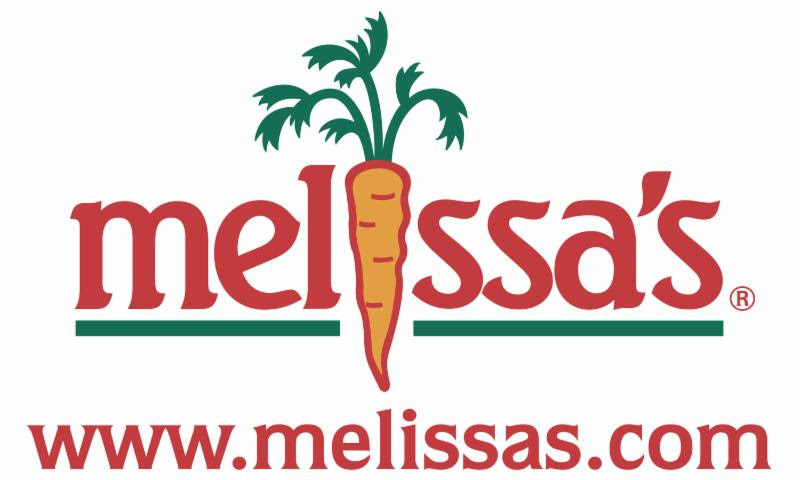 Melissa's Produce is the leading U.S. variety distributor of specialty and organic fresh produce. 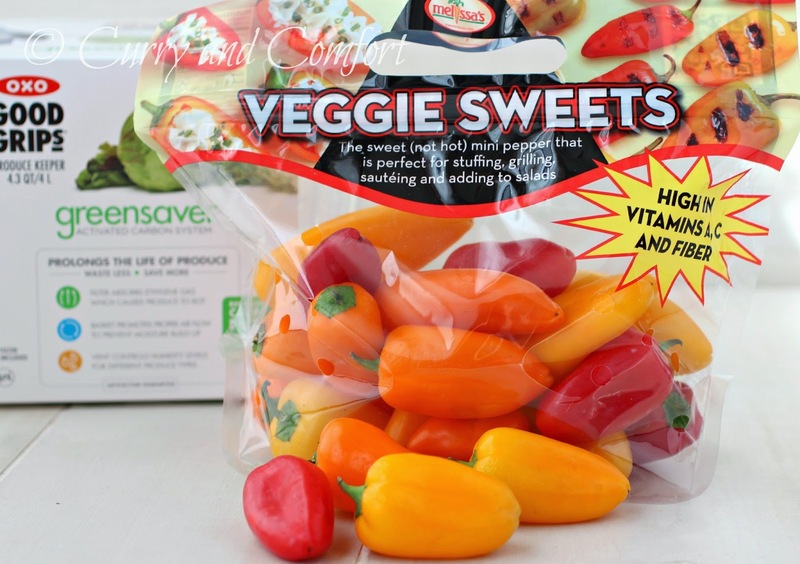 The company imports exotic fruits and vegetables from around the world. 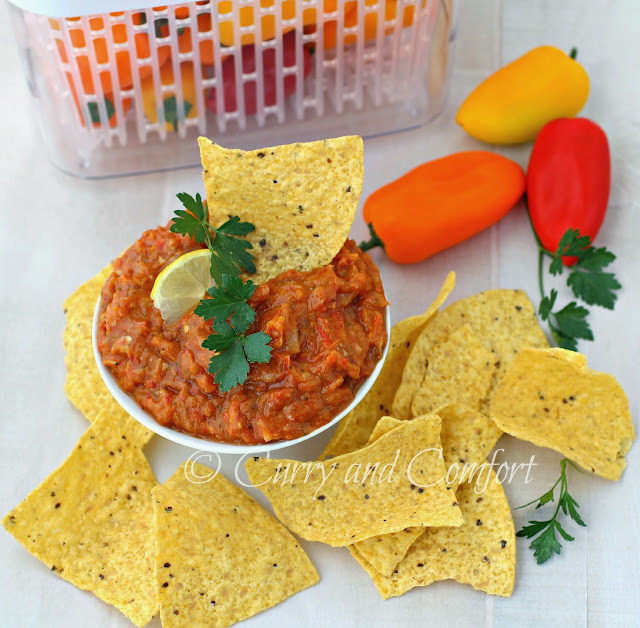 One of the recipes that I was able to make was this Roasted Sweet Pepper Salsa. 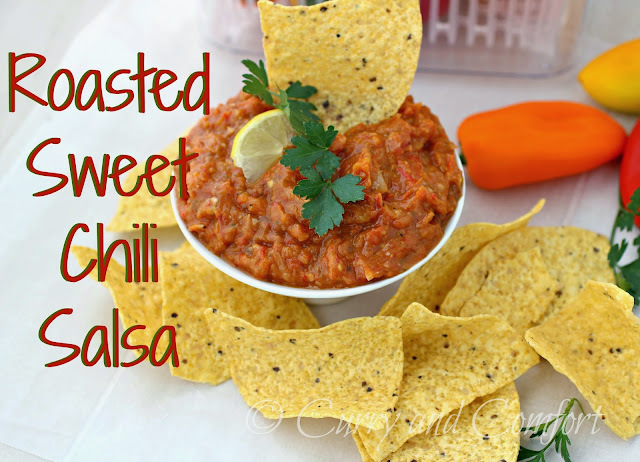 It was fantastic to have a salsa so jammed packed with a lot of Melissa's Produce peppers that are high in fiber and vitamin C.
Toss tomatoes, onions, peppers, garlic cloves with salt, black pepper and canola oil. 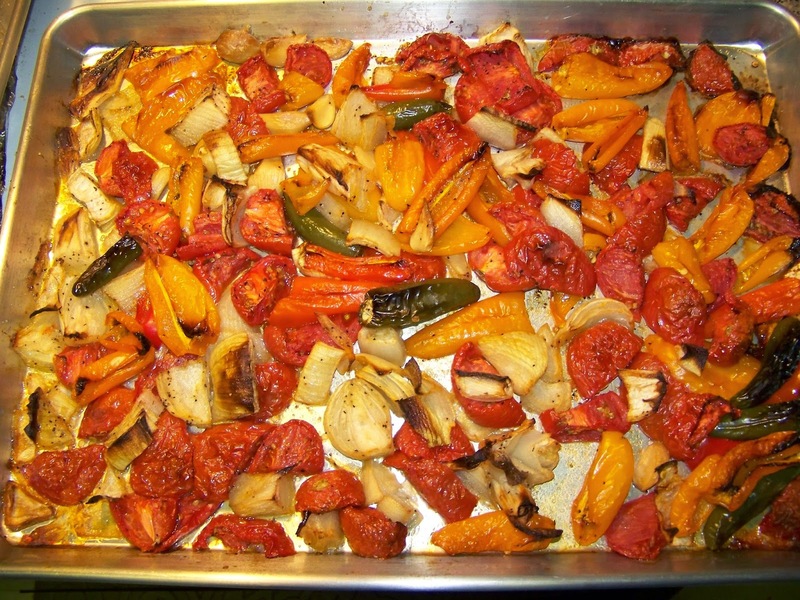 Then roast in a 400 degree oven for 50 minutes. 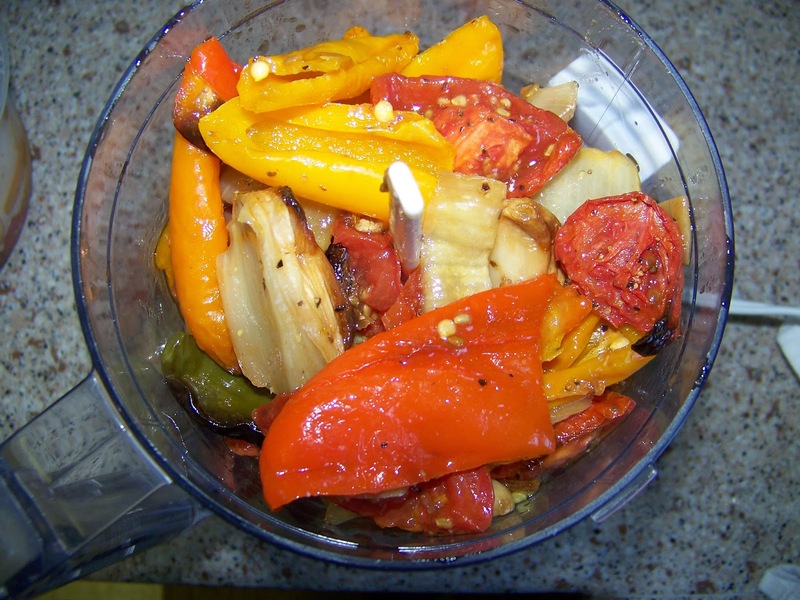 Allow roasted ingredients to cool down a bit then blend with lemon juice and more salt (to taste) in food processor. 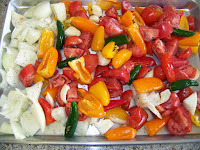 This will form a thick and chunky salsa. Enjoy with tortilla chips or any dishes you eat with salsa. Link to greensaver.oxo.com for comprehensive information about how GreenSaver works, venting guidelines, activated carbon packet refill reminder, and more. 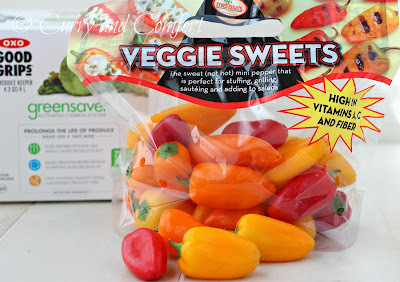 Disclaimer: I was sent an OXO GreenSaver Produce Keeper and Melissa's Produce bags of sweet peppers. I was not paid for this review. 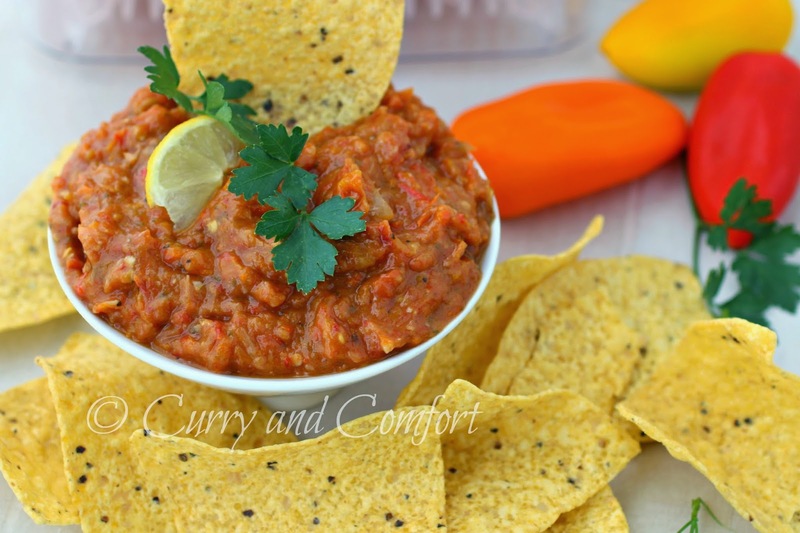 All opinions and recipes are my own. 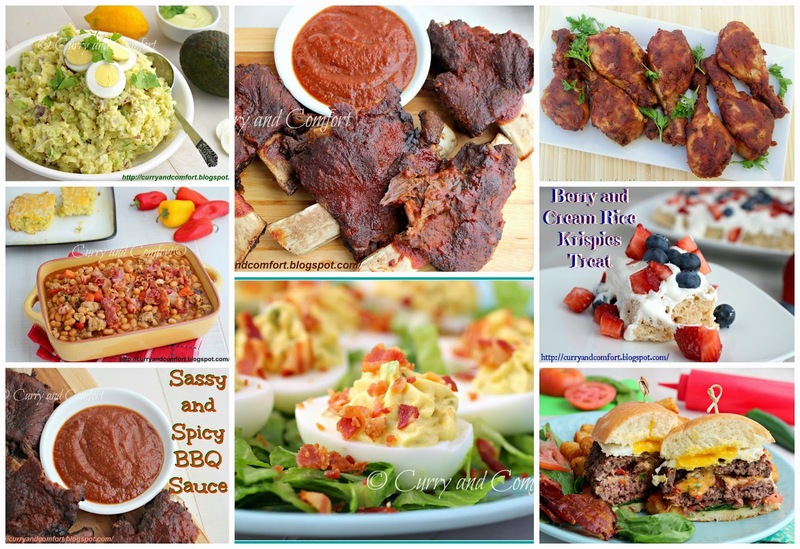 It's Memorial Day, are you enjoying a cook-out or barbecue today? 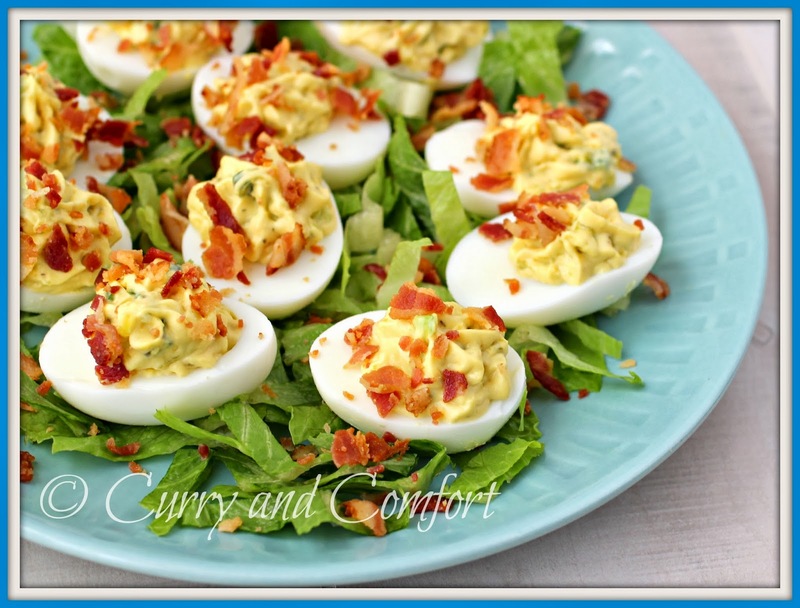 I always say it's not a party without some yummy deviled eggs to enjoy. 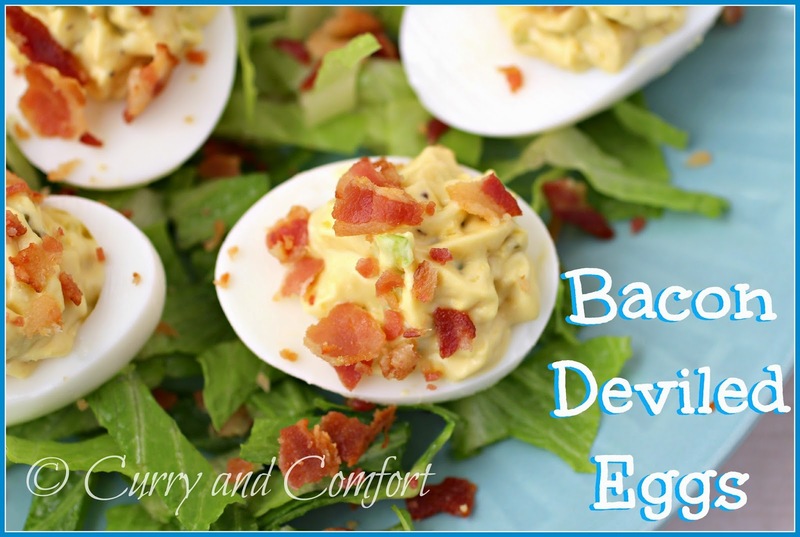 I decided to make bacon the confetti on top of these deviled eggs. 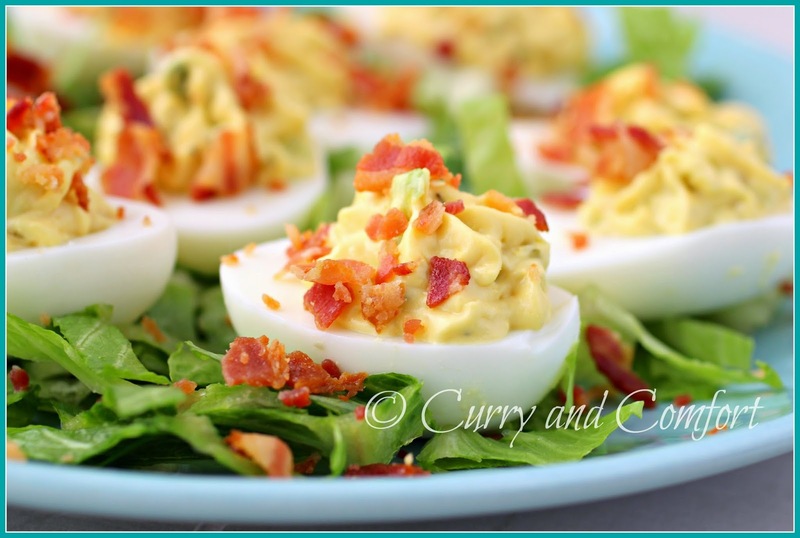 They were a perfect appetizer for our barbecue. It's Memorial Day Weekend and we are enjoying the summery days with lots of sunshine and daylight hours. The kids and I even went for a walk at "night time" and there was still enough light at almost 8:30PM to have a nice stroll at twilight. That's one of my favorite parts of longer days.... everyone is out and about and socializing outside. In the winter, sometimes we don't even see our neighbors for months. Corn is in season at the grocery store and I'm buying it like crazy. You will see a lot of corn everything on the blog if my kids don't just microwave it and eat it straight. Yes, you can microwave corn. 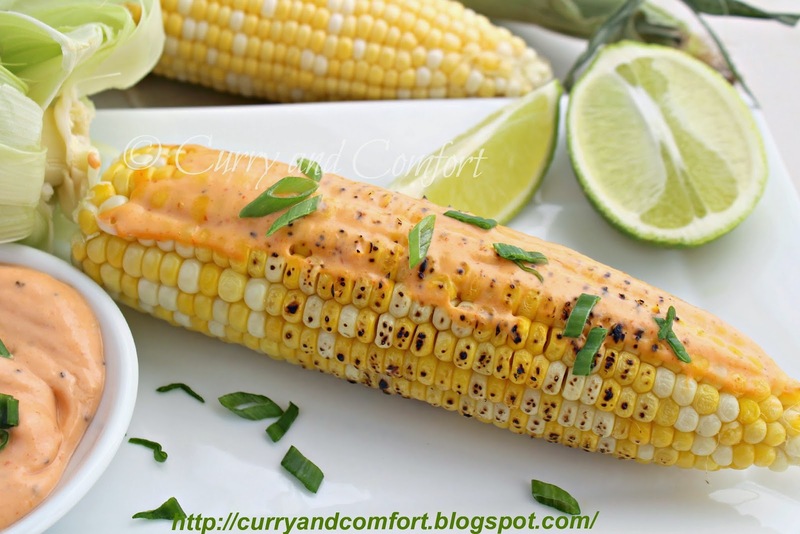 See my "Quick Grilled Corn" Here. We are still hoping to have a BBQ this weekend and my roasted potatoes below will definitely be an appearance. 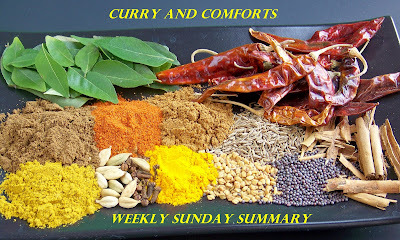 Don't forget to check out all my recipes from this week below. I also wanted to take a moment to also really appreciate what Memorial Day is about and it's not about BBQ or cookouts. It's about honoring and saying Thank You to all those that sacrificed their lives protect our freedom. Here's to all the heroes who have given everything to this country and made it great, Thank You. As we celebrate this day with our cookouts to start barbeque season... let us not forget to thank and remember the men and women who gave their lives to protect our country and freedom! I love to play with my food. Sometimes ingredients are just waiting to have something "unexpected" happen to them... well that's my thinking at least. 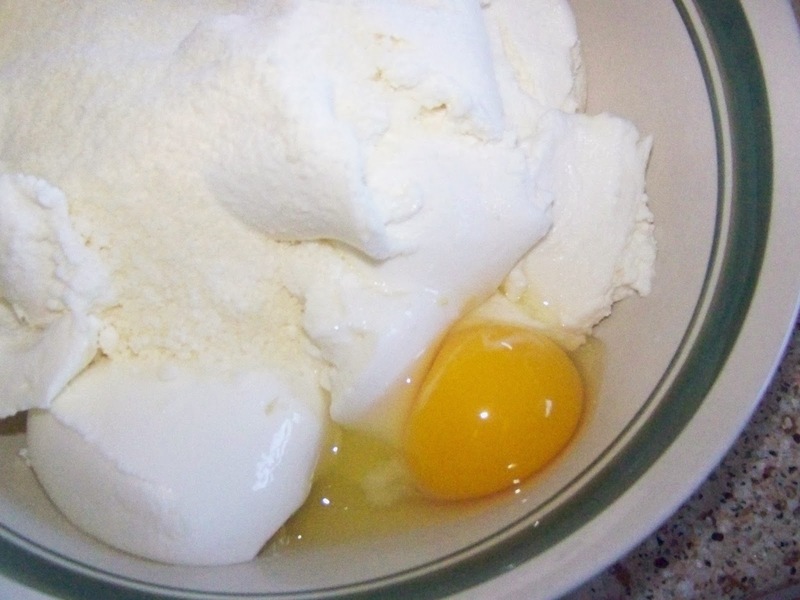 So when I saw a tub of cottage cheese sitting in my fridge, I thought why not add it to a cake mix and see how it turns out. 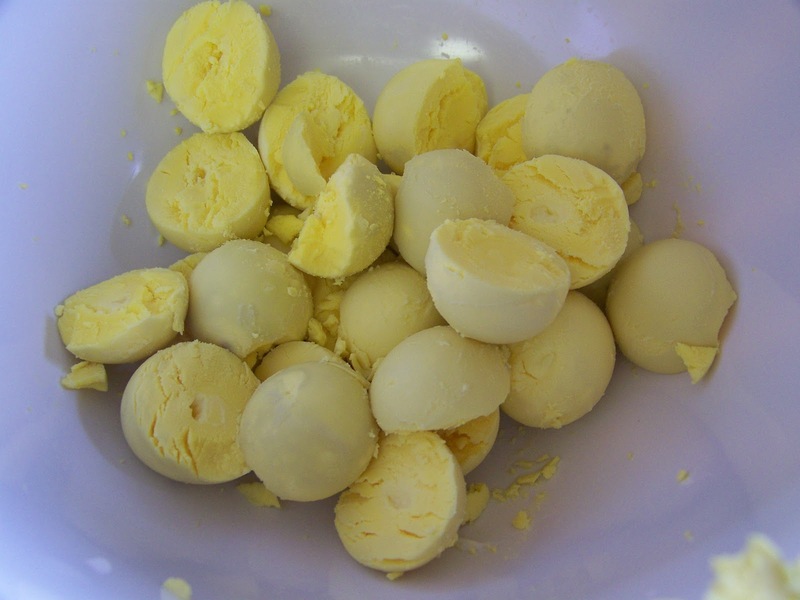 This "cheesecake" is the result. I also love fresh berries. My go to brand when it comes to berries is always Driscoll's. I know when I buy Driscoll's my berries are going to look and taste perfect. So when Driscoll's had a “Raspberries for Dessert” recipe contest sponsored by Driscoll’s®, I entered it without hesitation with my cake "experiment". I knew that beautiful and plumb raspberries would make a perfect garnish to this dessert. I also decided to take my "cheesecake" up a notch by adding a fruity raspberry sauce to compliment it. 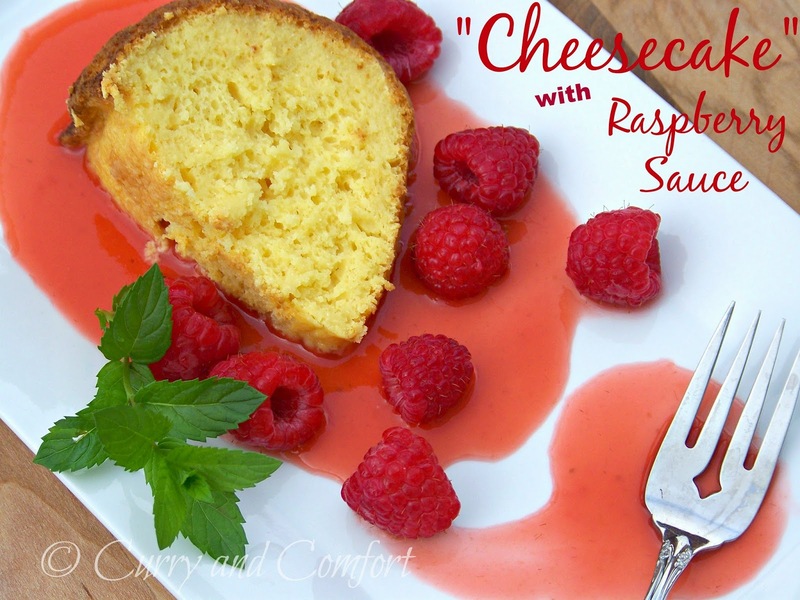 This cake was so moist and delicious, my husband could not believe there was cottage cheese in it. My favorite part of course was the raspberry sauce. 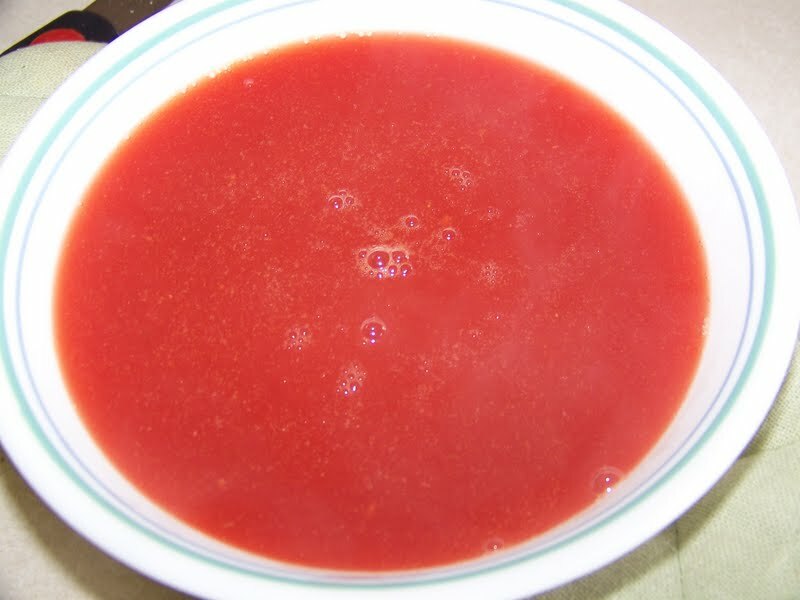 The sauce just took the cake to another level and I wanted to scrape every drop off my plate. 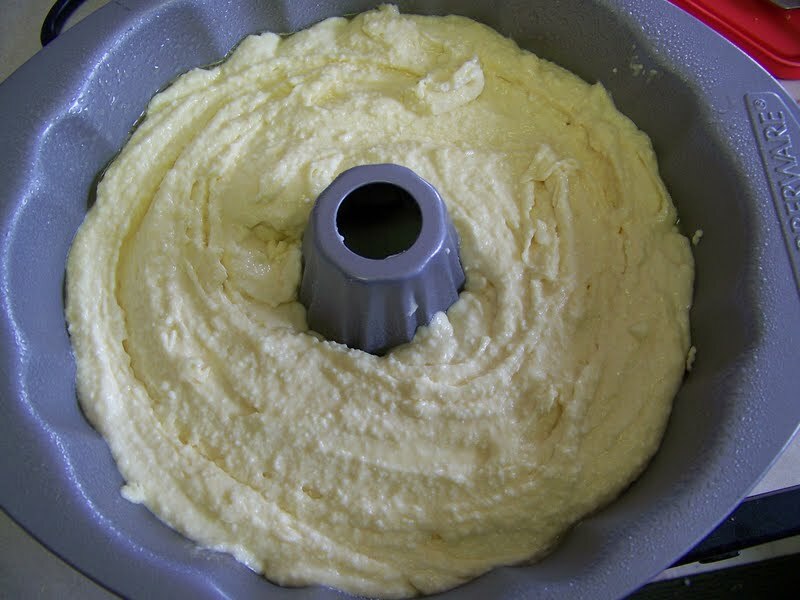 Mix all ingredients together well and pour into a well greased bundt pan. Bake at 350 degrees for 55-60 minutes or until cake is set. 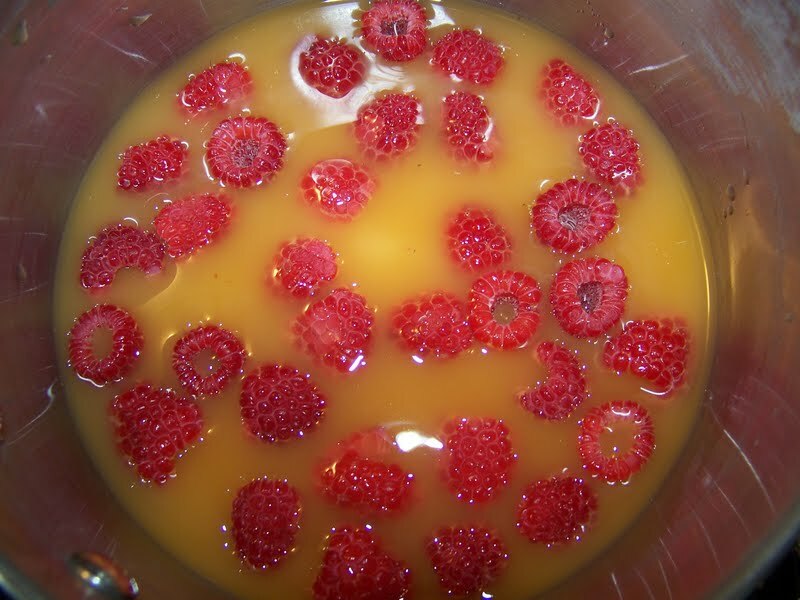 Blend raspberries, honey and orange juice well in a blender or food processor. 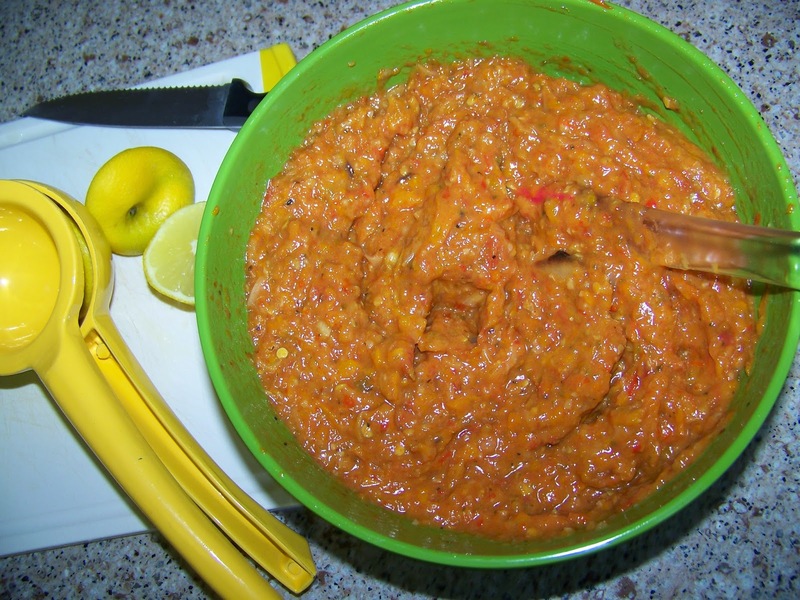 Take a few tablespoons of the sauce and stir with the cornstarch until it forms a smooth slurry. 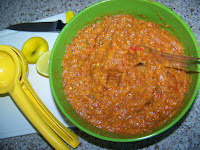 Then add cornstarch slurry with all the sauce and heat until sauce thickens. 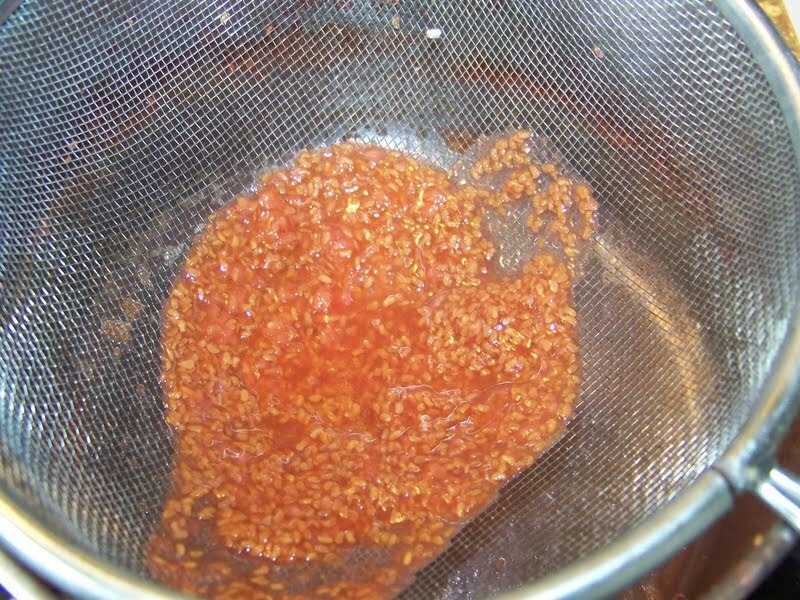 Next strain with a fine mesh strainer to separate all the raspberries seeds out. Allow the cake and sauce to cool before serving. 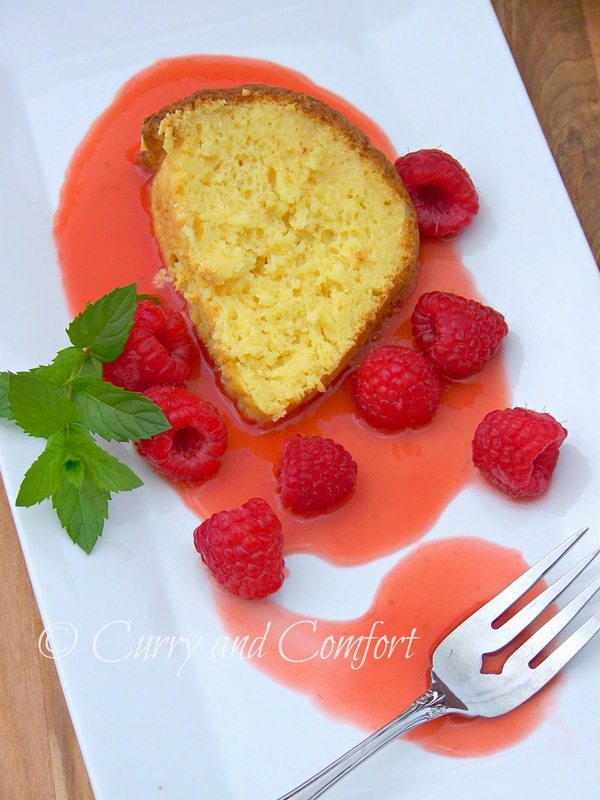 Serve cake in a pool of the raspberry sauce and with more fresh Driscoll's raspberries. Enjoy. 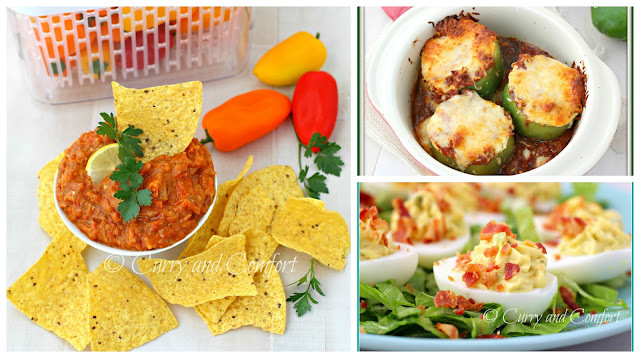 Store leftovers in the fridge. Disclosure: I was invited to participated in a recipe contest for Driscoll's Raspberries @driscollsberry. I was not paid for this post and all my opinions are my own. My husband and son are definitely "meat and potato" men. They love their mashed, fried and roasted potatoes with any meal I prepare. 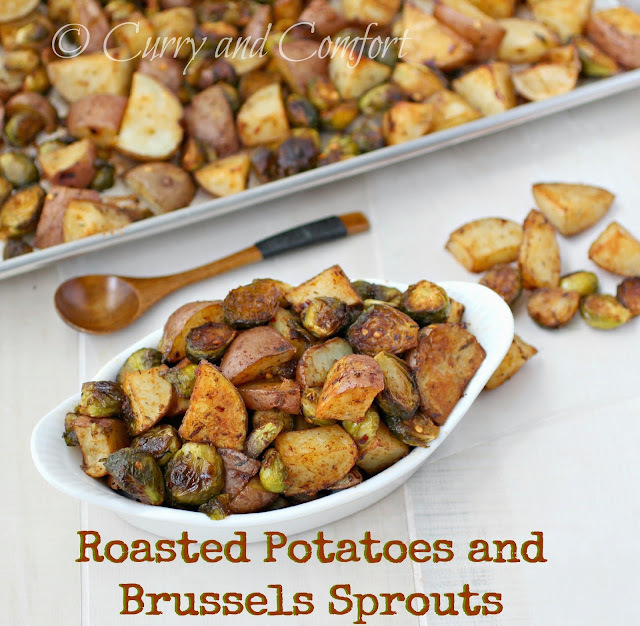 I decided to sneak in some of my favorite brussels sprouts with the potatoes this time so my daughter and I could also get some greens with our potatoes. They turned out fantastic. 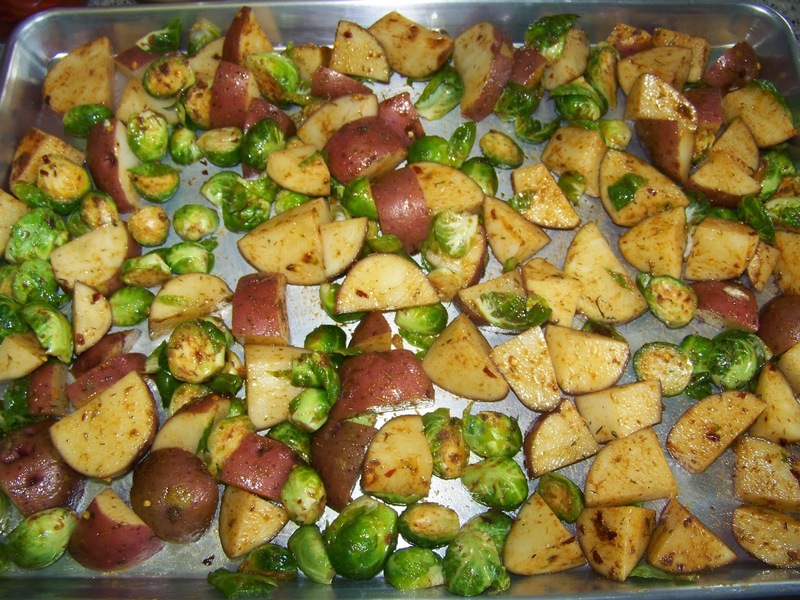 I made a big load of potatoes and sprouts that covered two large baking pans. I think I ate half a sheet while doing "quality control" and taking the photos. My husband ate the other half of the sheet tray for lunch because he was thrilled to see them. 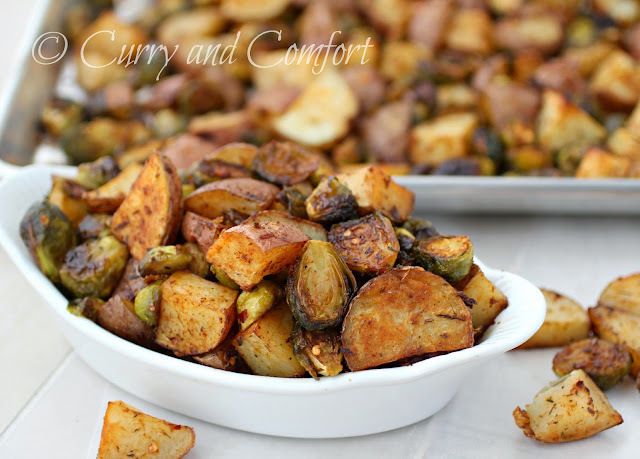 These potatoes were also a fun dish to serve at breakfast the next day as a potato hash. So, make a lot you will definitely enjoy the leftovers. 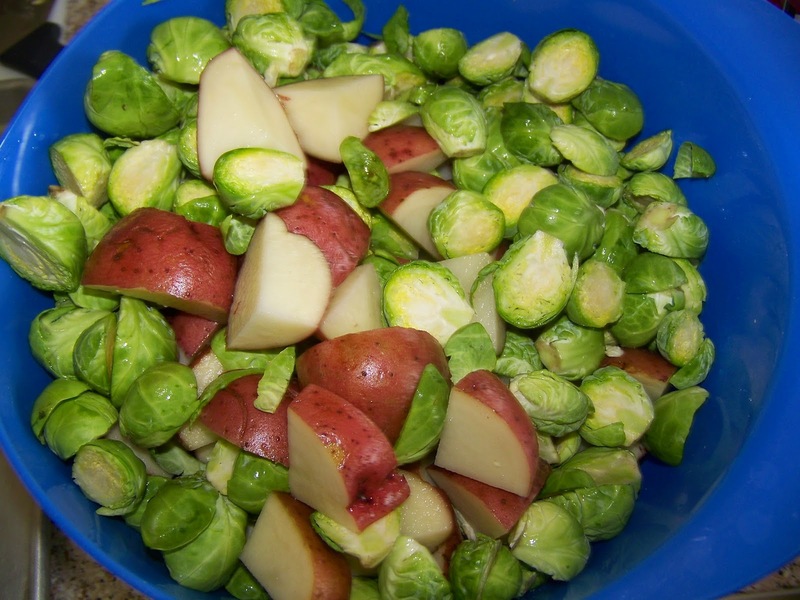 Wash all potatoes and brussels sprouts. Drain to remove excess moisture. Cut potatoes into large bite-size pieces and spouts in half (depending on size). Mix in large bowl with seasoning and oil. 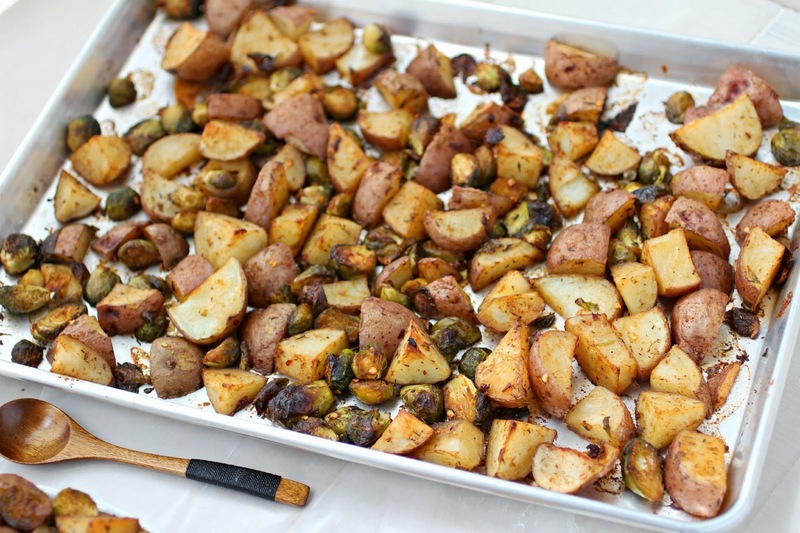 Place season potatoes and sprouts on a baking sheet pan in a single layer. Bake in a 425 degree oven for 30 minutes. Remove and flip over veggies then bake for another 15-20 minutes until potatoes are cook and golden brown. 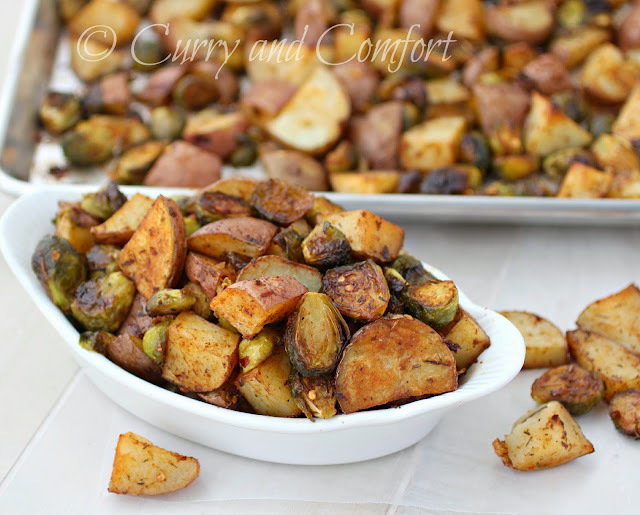 Serve as a side dish with any meal. Enjoy.